Last week I wrote about Nebraska's place in SB Nation's returning-production rankings. As the first triad of the preseason S&P+ rankings that are coming next week, I spent some time at the end of that story projecting what I thought would happen in the other two components: five-year history and recruiting rankings. Since returning production is one-third of the preseason S&P+ rankings and the Huskers fall in the bottom third nationally, I'm pretty interested in where Nebraska will rank overall. The second component is a look back at performance over the previous five seasons, with extra weight given to "more recent" seasons. For this year, that's a look back at 2014-18. In this category last year, Nebraska ranked 51st with an average S&P+ of 3.9. 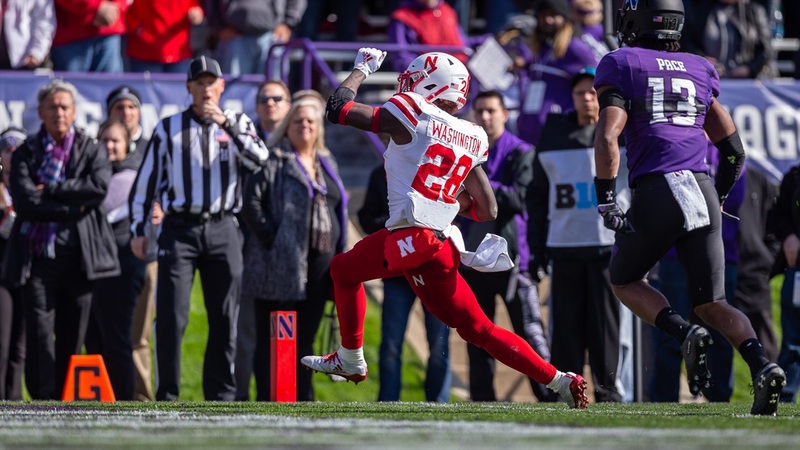 Depending on how things are weighted, Nebraska should move up a few spots in “recent performance” as it's dropping a 2.1 S&P+ score from 2013 and adding a 3.4 from 2018. Even if that 3.4 receives the most weight, however, any move in this category will probably be slight. The third component is a look at two-year recruiting class averages. Nebraska was 22nd in this category a year ago and, depending upon how things finish out with this class, should have a slightly better score in 2019. Again, a slight improvement. I was a little bit wrong on the first front. S&P+ creator Bill Connelly has been retrofitting past S&P+ rankings to the current method used in 2018. When I pulled those rankings last week, I thought they'd already been updated but they hadn't. Instead of Nebraska adding a 3.4 from 2018 and dropping a 2.1 from 2013, the Huskers added a 3.4 and dropped an 11.6. That, of course, resulted in a drop in Nebraska's ranking from last year to this year, but it was a tiny one, from 37th last year to 39th. That's before any weighting, which will happen before these rankings are thrown into the S&P+ stew. >>So that shakes out about exactly like you thought it would. Ohio State is at the top, a touchdown better per game than the rest of the conference over the past five years. Wisconsin and Michigan are basically tied for No. 2 and Penn State is just a step behind those two. >>Nebraska, at No. 7, is the bottom rung of the top half of the conference ladder and is 1.4 points worse than Iowa over the last five years. In case you're curious, the Huskers' current five-year average (8.5) is down about a touchdown from what it was at the end of the Bo Pelini era (15.7). >>The Big Ten rankings here hold pretty much to form, but there was one that surprised me––Northwestern. The Wildcats, at 3.5 points better than the average team over the last five seasons, rank 10th in the conference. That's behind Minnesota and Indiana. How? Because Pat Fitzgerald is either a wizard when it comes to close games or just on a really fortunate run right now. (I'd like to see his investment portfolio over this span to confirm.) The Wildcats are 41-24 (.631) over the past five seasons and 18-10 (.643) in one-score games. Northwestern won nine games and the West Division last year while outscoring its opponents by a total of 14 points. And that's the second time that's happened in the past five years (minus the division title). The 2015 Wildcats went 10-3 (5-0 in one-score games) while outscoring their opponents by a total of 12 points. Amazing. But bad for your S&P+ ranking. >>Purdue (+4.4) is your biggest positive mover over last year. Michigan and Penn State are still holding strong, too. >>With this rankings release there's only one piece to the preseason S&P+ rankings left, a two-year look at recruiting. That will be finalized this week after the 2019 classes are finalized (more or less) today. That should still be a positive move for Nebraska, and with a higher ranking in this category (due to the retrofitting mentioned above) I'm going to adjust my preseason S&P+ prediction. It's tough because there's unknown weighting at play here, but last week I thought Nebraska would rank between 42 and 52 nationally. With a higher ranking in the five-year category, I know think that Nebraska could top out in the high 30s so let's call the updated range 38 to 48. Greg Smith sets the stage for National Signing Day. Here’s your update from Tim Miles’ Tuesday press conference, in which Miles added some weight to Jacob Padilla’s previously published column on Tanner Borchardt. Three things to know about Thursday’s Nebraska-Michigan game on the women’s side. Did a special-release Mailbag this week to get out ahead of signing day. Kyle Kardell has your update from yesterday’s baseball availability.